PANAMA CITY; February 27, 2018 –With less than a month to go, Aero Expo Panama (AEP) 2018, a trade fair and marketing forum exploring the latest trends of the executive aviation and rotary wing sector in Panama, Latin America and the Caribbean, announces the addition of an aerobatic air show, international keynote speakers and a partnership with the Panama Tourism Authority. “The Panama Tourism Authority is sponsoring the Aerobatics that will be presented during the Aero Expo Panama. The objective is to promote Panama internationally as a comprehensive touristic destination: business and leisure. The Airshow is a visual and spectacular event for aviation enthusiasts but also for a broad public that likes to share such experience on social media. This is going to be a strong boost for the expo and our partners. We already see a strong interest from neighboring countries with many information requests and registrations,” said Yvan Boniface, AEP Organizer. 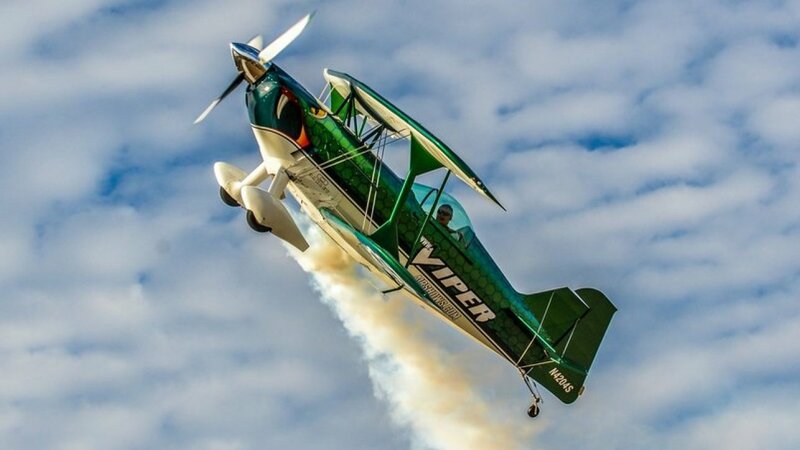 This year’s novelty is the Viper Aerobatic Air Show performed by Jason Newburg, an extreme aerobatic pilot who loves to share his high energy performances with airshows audiences around the country. Using the Pitts S2S as foundation, The Viper has taken all the years of aircraft evolution and wrapped it into one exhilaration machine. The air show will take place on both days of AEP 2018. Aviation professionals will have the opportunity to listen to international speakers including David Wyndham, who will discuss ‘Managing and Understanding Aircraft Operating Costs’. Wyndham is the President and co-owner with the aviation-consulting firm of Conklin & de Decker. For eight years prior to 1993, Wyndham was an Instructor Pilot with the US Air Force. He has an ATP Pilot Rating and a Masters Degree from Embry-Riddle Aeronautical University. The 2-day event will include indoor and outdoor exhibits. For a company willing to exhibit their aircrafts, helicopters, aviation products or services during the event, AEP provides a static display of aircraft and indoor exhibitor placement options. Planes To Go, Corp. is a firm created with the purpose of making corporate aviation a simpler experience, less complicated and cheaper. The company offers an aircraft that meets both personal taste and individual needs.